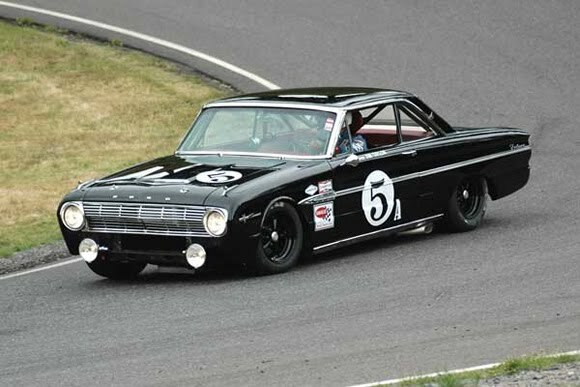 I thought that the 1963 Falcon Sprint would be the perfect car to follow the Shelby Mustang. Ford was really getting it stuck to them from the Europeans with their 'compact' cars until 1960 when they brought out the Falcon. It was released as a sedan and a station wagon with a 90 horsepower six and was a huge hit. Then in 1963 Ford brought out a convertible and a fastback coupe. With Lee Iacocca pushing the 'Total Performance' slogan Ford decided to enter motorsport full on in 1963. I was surprised to learn Falcons were entered in rally events and did very well in the Monte Carlo Rallye. Amazing for such a big car. Having a V8 option made the Sprint even more popular and a great foundation for a 'sports' compact. To boost the sporty image a rev counter was added to the top of the dash and bucket seats were fitted as standard. A beautiful part of motoring history that would have kept going apart from the fact an cooler car was released in 1965, the Mustang.